Want to see an egg bounce? How about grossing out your friends with home-made boogers? Why not grow your very own stalactite, make baked ice-cream or even build an underwater volcano? Have you ever wanted to create invisible ink? 101 Cool Science Experiments will show you how. See how you can make the most extraordinary things from everyday materials to astound and surprise your friends. 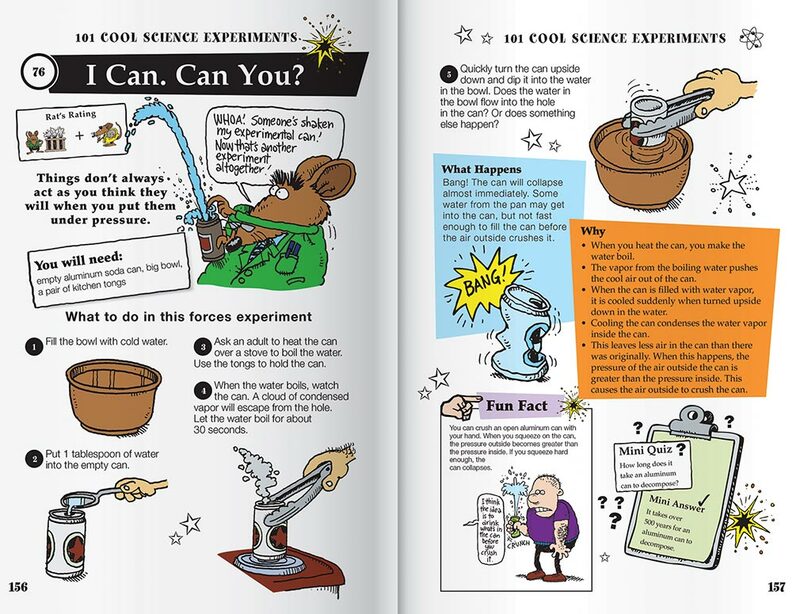 There are one hundred and one of the coolest experiments here for any budding genius. 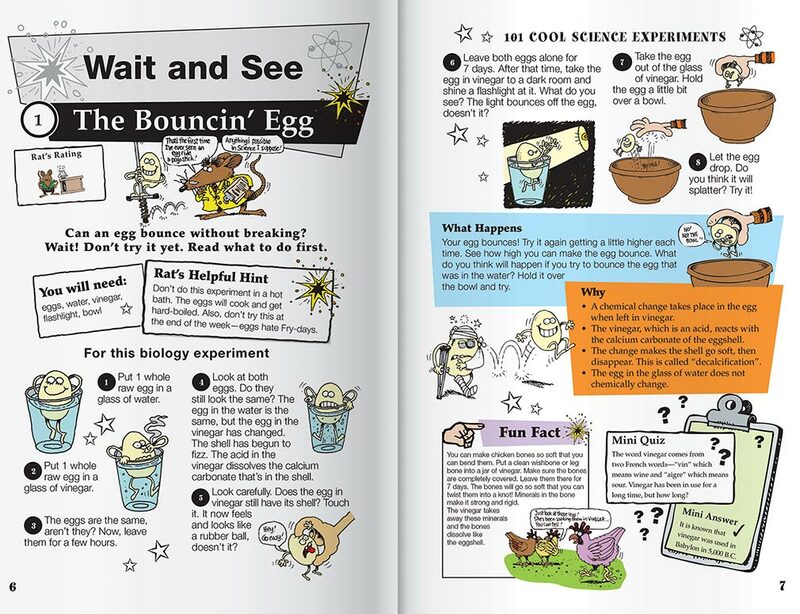 This 208-page paperback book contains step-by-step instructions, helpful hints, fun facts, and a scientific explanation at the end of each experiment so children learn while they're having fun. 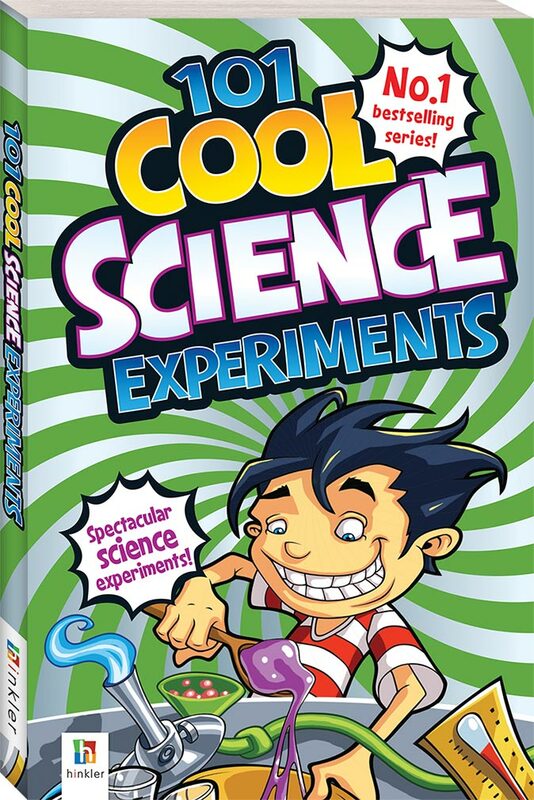 Featuring awesome coloured illustrations throughout,101 Cool Science Experiments will keep children entertained for hours!